Was watching this again today on YouTube and so I just wanted to post the links for thos who haven't seen it yet. Jack Swagger - Booked to Fail? The booking of Jack Swagger in the WWE over the last 6 months as been very strange and difficult to follow if your describing politely. Ever since the decision was made to move him to Raw from the safety of ECW, it as proven to be a rollercoaster of being pushed one week and then made to look like a comedy act the next. Towards the end of 2009, Swagger was booked not only in a three way battle for the US Title with Kofi & Miz but also on a run of losses. Now this is hardly a unique booking strategy for a heel to go on a run of losses and then either turn babyface (ala MVP) or finally snap and go full psycho heel and at least solidify his spot on Raw and maybe even get on PPV. 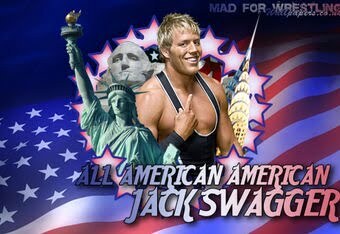 However this did not really happen, Swagger cut a typically dull and very scripted sounding promo in I believe it was November stating that our 'All American American Hero' would go on a undefeated streak until the end of the year and that 2010 would be his year. His winning run lasted all of about 4 weeks, all against the usual Raw job guys. His stock did not raise at all and then as soon as December arrived he lost, not only that but he lost clean and that was the end of that. The commentators didn't push the fact that Jack had failed on his goal, they simply moved on with the show. In the weeks that followed, Swagger either didn't appear on TV or featured in a 2-3 minute filler match that didn't mean a thing. Reports suggested that his attitude backstage was not what Vince would expect or be happy with, this led to comedic angles in the run-up to the Royal Rumble with Mark Henry and even worse Santino Marella. The result being that Swagger was routinely embarrassed in skits and was become more of a joke with every passing week. Was he being punished for his attitude? It's probably very likely that he was, but if so was he trying to rectify it and try and show a more professional attitude? The jury seemed to be still out. Into February and shockingly he featured in a TV match which went over ten minutes with John Cena, sure it wasn't the TV main event. But ten minute matches on Raw are very rare, especially when they half way through the show. The match, helped considerably by Cena ensuring that it was competitive and when he finally gets the win that the fans realise he actually achieved something by beating the cocky All American. The next week though the WWE failed to build on this new found push for Swagger, reports suggested that the company was actually becoming high on him but there wasn't neccessarily a lot of of clear cut evidence to support this. Entry into the Money In The Bank match may have meant a nice PPV payday but that was about all. Everyone was tipping Drew McIntyre or at a push Christian as the potential winner. The rest would have the moments, do some crazy dives and in the case of Dolph possibly kill himself as he trys to bump himself into the next life. Fortunately though the WWE chose that this match would be the one where they would swerve the fans and go for someone unexpected as the winner. With Undetaker, Bret, Cena, Triple H all being obvious winners at Wrestlemania going in, it was the MITB match that got the shock winner. And it was at the biggest stage of the year that Jack Swagger froze, like a rabbit in the headlights. Did he forget the finish waiting for someone to knock him off the ladder? Did he forget that he could climb one more rung and make life so much easier to claim the briefcase? As he stood there struggling to take the briefcase, you can imagine Vince going mental that he chose Swagger to take the opportunity and he blew it. The next night, Swagger teased cashing in his opportunty against John Cena. Most observers are surprised that he didn't lose to the STF in ten seconds. Nobody could have been shocked if Vince chose to punish Swagger by booking him to lose quickly to Cena on Raw. He still looked like a geek on Raw don't get me wrong but he still had the breifcase. And of course the next night at the Smackdown tapings he took advantage of Chris Jericho by following up a Spear from Edge to claim the World Heavyweight Championship. By being the champion, will not automatically make you a main eventer in the eyes of the fans both those watching live in the arena and also those at home watching on TV. He needs to be protected, he needs a few wins over established talent. What he doesn't need is his weaknesses exposed for all to see, which as constantly happened. Everyone knows he has a lisp and this means that his promos come off as nervous and unsure. So what do the WWE do about this, they have everyone point this out and make fun of it over and over again. Now if Swagger was seen on the level of Cena, Edge, Jericho or Orton then it wouldn't matter, but he isn't and everytime they do it, it makes him come off as someone who doesn't belong on their level. He is not going to be a PPV draw anytime soon. Since he won the gold, he's been beaten by Orton on two episodes of Raw, lost to the Undertaker (who is now going to take off for a few months), who could have certainly took the loss and help to establish Swagger as a main eventer. Swagger did triumph in a three way over Edge and Jericho but established his dominance by stealing the pinfall, please note the irony. Even a win for Swagger at Extreme Rules over Orton will not make a difference at this stage, it's clear with how the title match is positioned on the card that they are not sold on his ability to deliver the goods and after Wrestlemania you can't really blame them. Cena vs. Big Dave is correctly placed as the main event, but Triple H vs. Sheamus, Punk vs. Rey and Edge vs. Jericho are without doubt more important matches than Swagger vs. Orton for the title. If Swagger loses at the PPV it would be difficult to picture how he could keep his position as a top tier talent. Both Sheamus and the Miz are well ahead of where Swagger is at this stage, and the fact that the 'All American American' has a world title doesn't change my view at all. Here is my first competition, on offer I have available TNA's Doomsday: The Best of Abyss. To be within a chance of winning this DVD all you have to do is tell me the name of the wrestler who was in the 'Kliq' with Bryan Danielson & Brian 'Spanky' Kendrick in Memphis Championship Wrestling. Conditions are, you must become a follower of the blog and once you do, email me at maxwellhouse_3@hotmail.com with your answer. The closing date is April 30th and all enteries will be put into a hat and drawn out. "Ok, what just happened? Just watched this week's Impact, and frankly my head hurts more than Rob (steroid)"Freak" Terry's after that chair shot cut him hardway! Has Russo got ADHD or something? I's lost track of wrestling after the Attitude era finished. Partly thru lack of funds to pay for Sky, but also as I found WWE getting a bit dull. Finding TNA by accident on Bravo, seeing the 6 sided ring and the likes of Styles and Joe (before they were Ric Flair Jnr and kidnapped by fat ninjas respectively) it was different, fast-paced and seemed all about the wrestling. But pretty much as soon as Hogan & Pals arrived it's all gone down hill fast. I'm not just going to bash Hogan blindly, but even his biggest fans can see something's gone wrong. TNA has more talented wrestlers than WWE, actually has proper tag teams- (unlike WWE who just throw 2 midcarders together randomly when the need arises) and has a far better Women's division. Even up to Final Resolution, they were putting on top-notch shows. 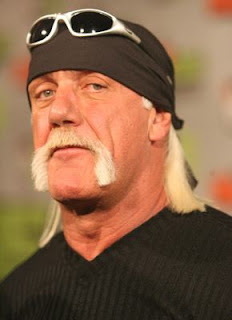 Then, soon as Hogan took over, it's like they took Russo off the Ritalin and just let him go nuts. But all is not lost. TNA CAN turn around their 0.6. Some of the ideas are simple, and doubtless not new. Some of you will disagree, but then, since when have fans ever been wholly in agreement about anything? Hopefully, in a bit of a 'series' I can share with you some of my ideas for TNA, and it'll at least spark some debate." I can add/remove bits if you like. I don't want to sound like I know it all, just thought it might spark some debate, and if people want to hate on me that's fine. You don’t often find wrestlers who have no passion going out of their way to create new moves. For that matter, a lot of wrestler’s who had Kanyon’s size (6′4, 270 lbs, fairly muscular) making the effort to put on fast paced matches. Chris could have easily relied on his size, look, and natural charisma to vault up the ladder.